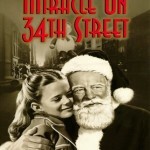 I had reason lately to think about the movie “The Miracle on 34th Street” with the young Natalie Woods. 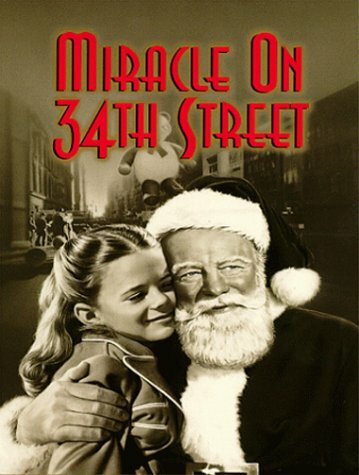 If you haven’t seen the movie, it is a charming Christmas movie that is a favorite of our family during the holidays. There is a particular situation that occurs during the movie. Having been provoked by the self proclaimed Santa Claus, and also because it made brilliant marketing sense, Mr. Macy decides that if there is anything that a Macys’ customer is looking for that Macys doesn’t have, the salesperson is to immediately refer that customer to Gimbles, their most potent competitor. Well, not to be outdone, Mr. Gimble catches wind of this and promptly gives orders that Gimble customers are to be referred to Macys if they cannot be helped at a Gimbles store. This back and forth builds as each store tries to “out-nice” the other. You’re probably asking, oh this is a very nice story David, but what’s the point? I am a constant observer of what is happening around me, as it relates to how companies market themselves and their brands, and I am usually supplied with plenty of writing material, both positive and negative. My wife and I were traveling this week and she was in desperate need of a pair of comfortable walking shoes. We were in a beautiful shopping area in Naperville, Illinois and came upon an Eddie Bauer store. We were both very familiar with Eddie Bauer and decided to go in. Once inside we realized there were no shoes anywhere to be found. An alert young man approached and asked if he could be of assistance. We explained that we were from out of town and needed shoes. He explained that this particular Eddie Bauer didn’t sell shoes, but a catalog was available to order them and he offered to help us with that order. Since it was not feasible to order shoes, we again explained that we needed these shoes right away. We asked, “Do you know of a shoe store close by?” His answer was what dumbfounded us both. In his kindest way he answered, “I am not allowed to tell you.” It was evident that he was not comfortable with being the messenger of this news. Needless to say we left immediately. I have known the Eddie Bauer brand for a number of years and have purchased and been very pleased with the items I have bought, but nothing in that brand experience has prepared me for what we ran across that day, and it has tainted my impression of this store in a very negative way. In fact, I proceeded to tell a number of other people of our experience that very evening. You know they say that if a person has a good experience with your brand, they might tell four people but if they have a bad experience they will probably tell ten or more people. Talk about viral marketing! I have to believe that this policy, clearly articulated by this young man, is the exception rather than the rule. Perhaps the young salesperson was quoting a general policy, not a hard and fast rule that circumstances don’t allow for a modification, for if that is not the case, sell your stock in Eddie Bauer because they will not last. Have you had any similar experiences you would like to share? Why Is “I’m Sorry” So Difficult? I am a proud member of Rotary International, an organization where service above self is its objective and whose efforts help millions of people locally as well as around the world. In fact, Rotary has been instrumental in helping to completely eradicate polio on this planet, an achievement that is very close to realization. Never doubt that I won’t try to put a marketing spin on this, it’s what I do. 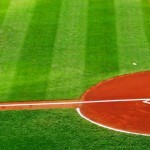 This article got me thinking. How many companies, in an effort to protect their brand, fail so miserably when after the inevitable mistake, they simply do not thoroughly apologize to their customer? Many companies will make the attempt by offering money back, or the exchange for a new product, or even the coupon that allows you to come back for free. And, don’t get me wrong, these are all good moves in the right direction. But what effect would it have if the CEO were to write a personal letter of apology, begging that the customer stay as a customer? Would this amount of “groveling” have any added effect? How would this action make you feel? In one of his latest blogs, a good friend and confidant, Shawn Kincaid, writes about Finding your Mission and Core Values as a prerequisite to setting your business apart from the competition. 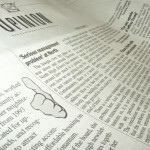 It’s a great article and one that will make you think. I recommend spending time with it. My take on this is that if your core values include the priority of valuing the relationship you have with your customer then it must necessarily include the importance of admitting your mistakes and begging for forgiveness. And I’m really not saying that the customer is always right, there are indeed times where the customer is just plain wrong. But when your mistake happens, and you know it will, then having a formalized public relations policy for saying “I’m Sorry,” can go a long way towards improving that all important customer relationship.